So, we moved three months ago and, when the house was empty, I looked around and had to come to terms with the fact that I was the poster child for Sharpie-On-the-Wall Syndrome. Six years and 4 toddlers later, the stuff was everywhere. And we all know that one does not just wipe off or paint over Sharpie. It demands much more elbow grease than that. 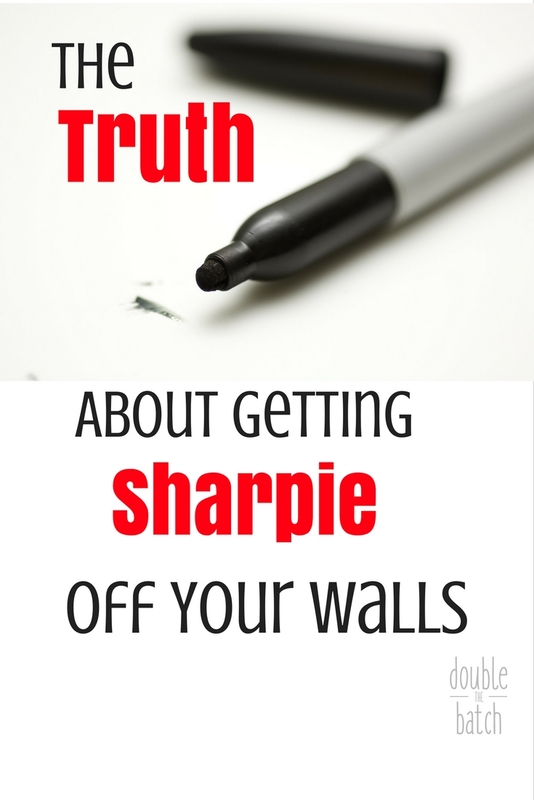 I turned to the internet, praying for an easy solution to my Sharpie problems and I found many ideas on how to get Sharpie off my walls. So, I put them to the test and I am here today to tell you what works and what won’t and what your options are if you find yourself in my same predicament. There are several different everyday chemicals people recommend for getting Sharpie off your walls. Rubbing Alcohol, hairspray, magic erasers, toothpaste, expo markers, acetone nail polish remover, and hand sanitizer gel are the ones I tried. For several of these options, the theory is that a Sharpie is alcohol-based, so you use an alcohol based product to break it down. The sad truth, however, is that all the alcohol-based options not only remove the Sharpie, but the finish on your paint as well. So, the question is, how big of a perfectionist are you? 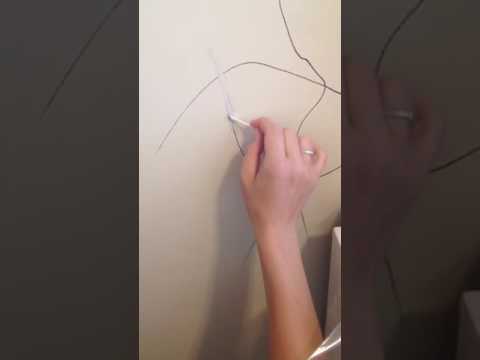 Do you just want the glaring sharpie off the walls and you can deal with the fact that where ever you wiped it off will have a different sheen than the rest of your wall? If so, I recommend using hairspray out of all the alcohol-based options. It is something you, no doubt, already have on hand, and it takes the sharpie off quickly without making your paint get gooey like some of the others do. 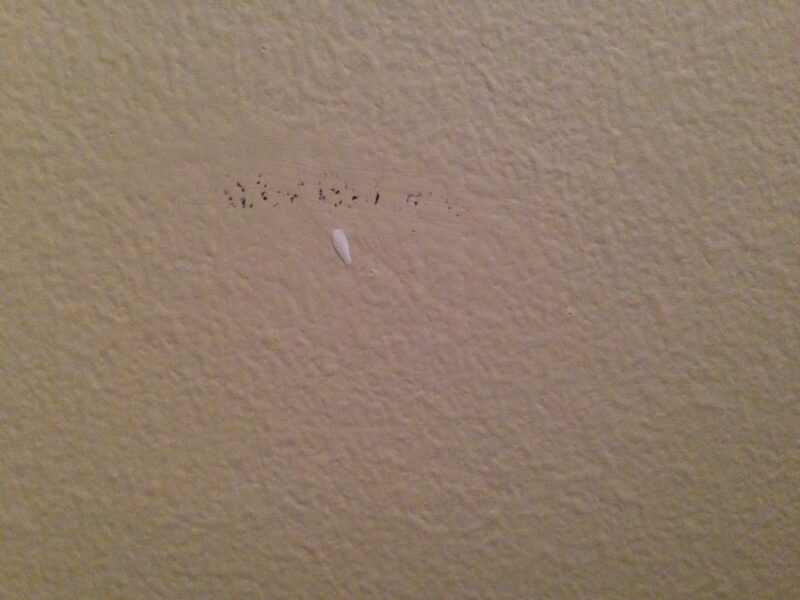 Use as little hairspray as possible- I use a Q-tip and then quickly wipe it of with a damp rag to minimize the amount of area on the wall that loses its finish. You’ll go through several Q-tips to get it all off. Here is a video demonstrating how to do it. As for toothpaste, it is the only product I listed above that seems to work without taking the finish off your paint. But, as with the Expo Marker, it takes a whole lot of rubbing with a damp rag after letting it sit for 5 minutes to get it to come off. The residue in the crevices is really hard to get out. If you are happy with it just looking like a barely noticeable little skiff on your wall, I guess it could be a good option. Here is how it looked after 5 minutes of working on it. 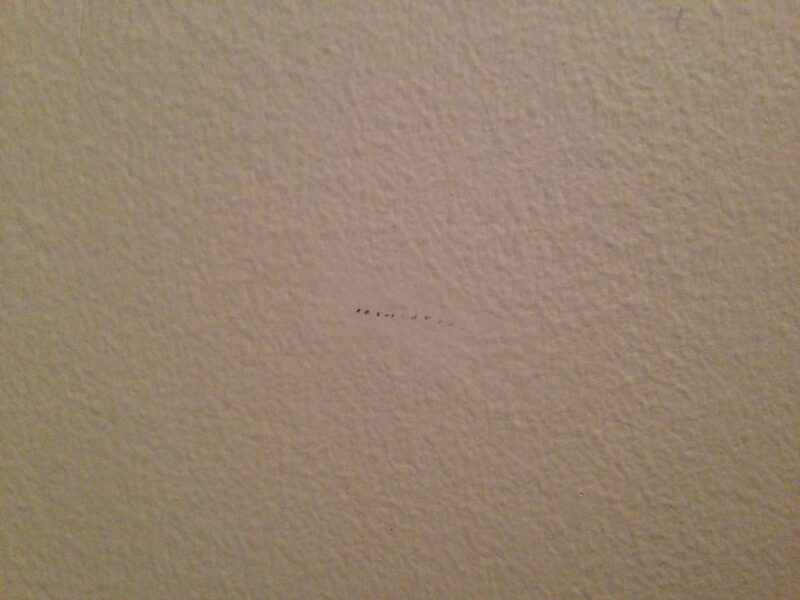 And bear in mind this was a very small mark on the wall. If you have long lines of Sharpie, this could get pretty tedious. The only real way to get the Sharpie off without affecting your paint finish is to paint over the Sharpie. But, you can’t just paint over Sharpie. You have to Kilz Primer it first or it will just bleed through. A can of spray Primer is your cheapest, easiest option. And then hopefully you have some of the original paint left over, because anyone who has tried to get a good paint match knows how hard it is. A bad paint match would be worse than a small spot where the sheen is different, so choose your battle wisely. If you are a perfectionist, painting over the Sharpie, as big of a hassle as it is, is definitely your best option.